KH Plant ensures quality by applying best practices. At the KH Plant Grader Rebuild Centre, we specialise in restoring Caterpillar 140G, 140H and 140K graders to "like new" condition. Rebuilds of all equipment and components are performed according to original equipment manufacturers' (OEM) specifications. By incorporating engineering updates and modifications stipulated in manufacturers' technical information bulletins, we ensure the same quality levels in our restored graders as you'll find in new machines. At KH Plant, we follow a formal multicriteria decision making procedure, using a standardised list of requirements, before deciding on a suitable rebuild candidate. Once a grader has been selected as a suitable candidate for rebuilding, technical staff at our facility perform an in-depth inspection and evaluation of the grader. They record the outcome of a meticulous assessment process, along with their rebuilding and repair recommendations. The resulting reports are the basis on which we develop a tailor-made rebuild strategy and budget estimate. 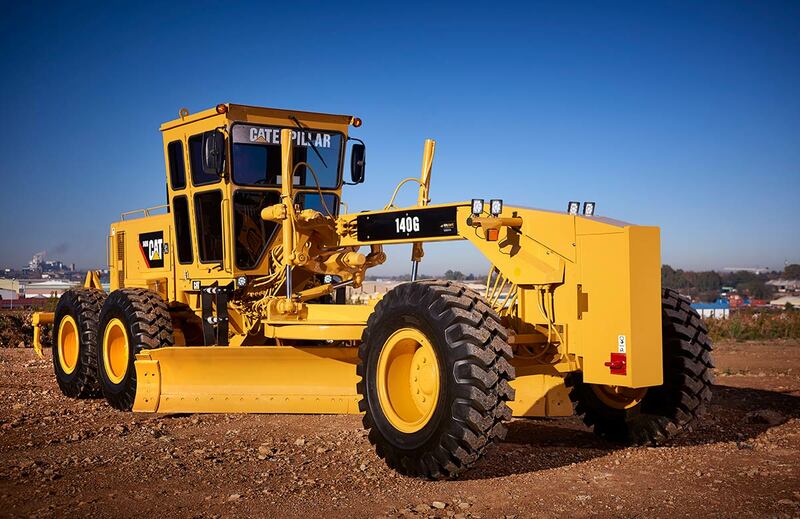 The specific rebuilding work required on a motor grader and its power train are determined through a comprehensive set of both static and dynamic analysis and appraisal protocols. The assessment process includes oil and fluid examination, as well as the use of specialised hydraulic meters and computer diagnostics. After inspection and evaluation, a grader is sandblasted and primed, and then the entire power train component is removed from the machine to allow in-depth scrutiny of the chassis. The main frame, front axle, drawbar group, circle/blade group and ripper group are checked for stress fractures, fatigue and other defects. If necessary, the areas of concern are straightened, welded, reinforced or replaced with new parts. The main articulation is of particular importance and line boring is frequently performed to return measured tolerances to original specifications. Our component rebuild specialists utilise the latest tools, techniques and test equipment to ensure that a grader's power train is rebuilt in accordance with rigorous criteria. Up to hundreds of parts are replaced or reconditioned to match the same high level of quality expected from a new power train. Engines are dyno-tested under stress to seat rings and to ensure optimum power output. A transmission test bench confirms proper transmission operation and shift points settings. a renewal of the starting and electrical system, including starter motor, alternator, batteries, wiring and harness assemblies, electrical switches, sensors and solenoids. Critical engineering updates made since the original design of the grader are also incorporated during the rebuild. During assembly of a rebuilt grader, special attention is paid to the lubrication system, cooling system, air inlet and exhaust system, fuel system, and the hydraulic and steering system, with parts replaced as necessary to ensure optimum performance. The operator station is also fully refurbished. All critical clearances, torques specifications and pressure settings are carefully monitored and maintained during the reassembly process. Finally, the machine is freshly painted and a new set of decals is added. Each grader is also equipped with new GET’s and a brand new set of tyres. Stringent quality control is integral to our rebuild program. Laborious testing is conducted at several stages of the process. Among the checks routinely performed are turbocharger boost, throttle response, stall speed rpm, transmission clutch operation and hydraulic pressures. Prior to delivery, the rebuilt grader undergoes many hours of genuine on-site performance, quality, functionality and safety testing. Contact us now to find out if a restored grader is the best solution for you.